nikitonsky: macOS has “Connect on demand” checkbox in VPN settings. 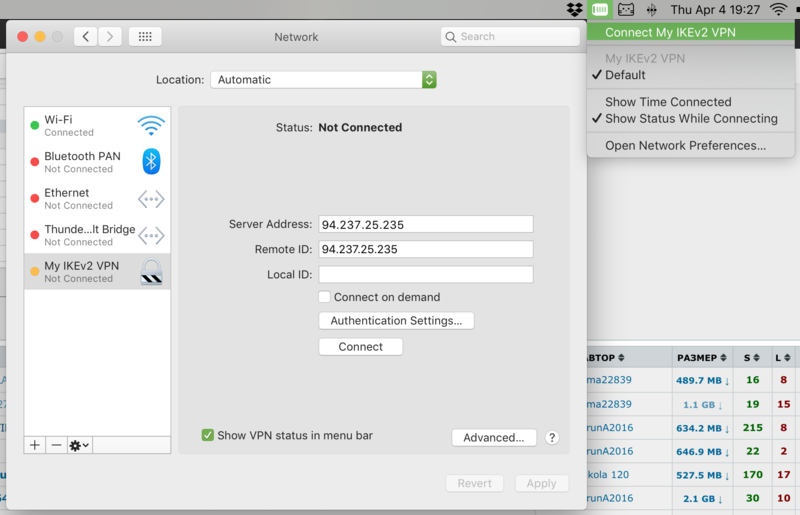 What it does is it tells VPN to reconnect whenever it loses connectivity: network disconnect, notebook sleep, after restart etc. It also has manual “Connect”/“Disconnect” command in a menu. The problem? If automatic reconnects are enabled, Disconnect stops working. If automatic reconnects are disabled, well, your connection drops after the first network hiccup. What I want? I want “always reconnect” always enabled by default. Who won’t want that, after all? Who likes to manually restore a connection each time something goes slightly wrong? This should be a default behaviour, not a setting. And I want to Disconnect to work too. Meaning, if I told OS to “Connect” once, it should try to do whatever it takes to maintain that connection for me. Even after computer sleeps, even after restarts. Until I change my mind and tell it to Disconnect, which should mean “disconnect and stay disconnected”. I mean, what’s so hard about that? And how what we have now makes any sense?